So, let’s start from the very beginning, 22 July 2016 – little Stan decided to join us. As precious as the time Alfie decided to join us, even more precious this time around as Alfie now has a little brother. The bond they already have makes me the proudest Dad alive knowing no matter what happens they’ll have each other. When Stan arrived, our lives changed in many ways, we became a family of four, Sophie became even more outnumbered than she already was and now we have two boys to raise in this world. Our lives would change again 20 days later, a change that would change the way we live, the way we see things – in a heartbeat we began to live a life with Cystic Fibrosis. For me that moment is still surreal, the feelings and emotions that hit me that day remain. 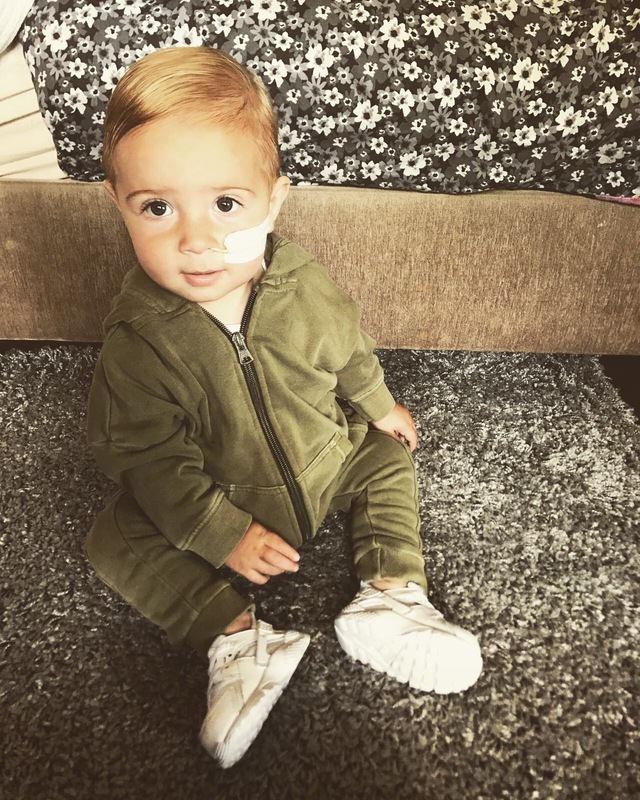 I look back on pictures before the diagnosis and I think how it felt not to live with Cystic Fibrosis, the innocence in Stanley’s face and the not knowing of what was about to come. This is one thing, still I can’t get my head around that one day we’re fine, we’re ‘normal’ and the next you’re left picking the piece’s up. My boys are irreplaceable, their marks they have imprinted on our lives already will live on forever. To witness already who they have become and grown into gives me hope that their futures are bright and they’ll find their way in whatever they desire. The hope I cling on to is that both my boys were born at the right time – technology is vastly improving; our understanding of Cystic Fibrosis is getting better each day and life changing breakthroughs are on the horizon – we just need the one to change our lives again. My dreams, well they don’t matter any more, my boys and their dreams are what matter.﻿ Along the way I’m sure the boys will have to borrow some luck and I’m sure they’ll get lost every now and then but one thing will always be certain and remain, that is for the rest of their lives they can rely on their Dad if they need a helping hand. 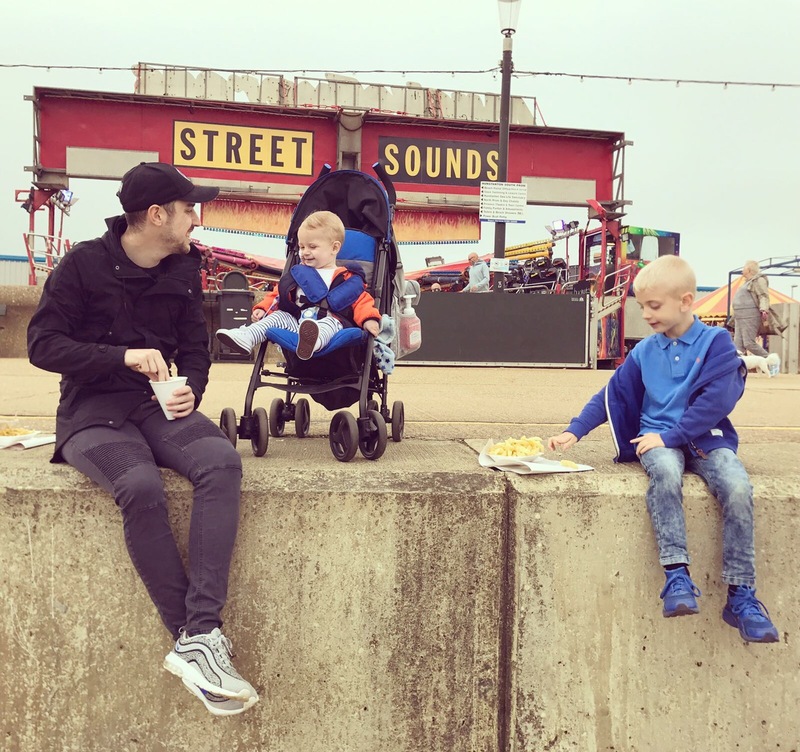 As a Dad and having these two boys I have achieved what I need to in life – anything I achieve now is for them, to better what they have, to show them the way. We originally started this blog as a diary for when Stanley is older and a way for us to show him what he had to go through. We didn’t think for a minute how far and wide this would spread or even the opportunities we would have to spread the awareness of Cystic Fibrosis. As for the countries, we’ve reached; Stanley’s blog has travelled through America, China and even Australia. We didn’t even imagine we’d be making appearances on the radio, telling our story for America or appearing on the local news helping NHS Leicester spread the word about Cystic Fibrosis. And we certainly didn’t imagine Stan would be at the heart of all of this or that the blog would inspire so many – but deep down we did, we wanted to shout as loud as possible, we wanted to show you all who our boy Stanley is and for us this is the beginning. A pint and football with me go hand in hand but the moment you ask me to speak about emotion or the like a dawn of silence breaks; I think this is just the way us men are wired. For me rather than talking I think I reacted and in a way the bike ride from London to Paris was my reaction. A way to show my boys we’ll carry on fighting, that maybe CF dealt us a blow but we’ll throw one straight back. Our first charity event was a pretty big one when we think about it but we want to breach the realms of impossible when it comes to the challenges we decide to embark on – and when we picked the bike ride that to us was impossible, having not been on a bike in over 10 years and to travel from one country to another in the space of 4 days. As I’ve mentioned, this is just the beginning and over time and the years to come we’ll keep pushing the boundaries of impossible. I owe a special thanks to both of my elder brothers who stepped forward on the bike ride without being asked. The thing is, I hope I never have to do what my brothers did – it might sound selfish but if I ever had to step forward like they have then it would mean a niece or nephew would have to go through the same heartache. We owe another thank you to the people who have, out of the kindness of their hearts, embarked on charity events and fundraising in the name of Stan and CF. These people know who they’re, for us it has touched us that you want to help our cause. It goes without saying we will be forever in the debt of your generosity and support and I hope one day we have the opportunity to go some way to repay this. At the end of the bike ride, as many of you know, I proposed to my childhood sweetheart and the love of my life. Together since the age of 15 and our little Alfie was on the way at 17 – rightly so, we had our doubters but we’re still here stronger than ever with our whole life ahead. I’ve been toying with the idea for the last two years or so and wanted to plan a big proposal, I always said to Soph I wouldn’t propose in a restaurant it would be something big and unexpected. 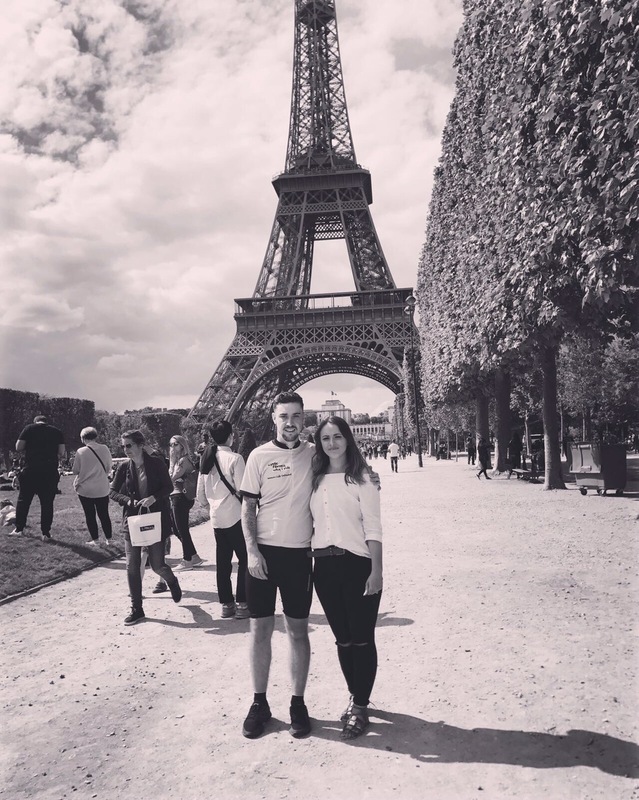 I have a vague recollection of even joking that I would bike to Paris and get down on one knee! 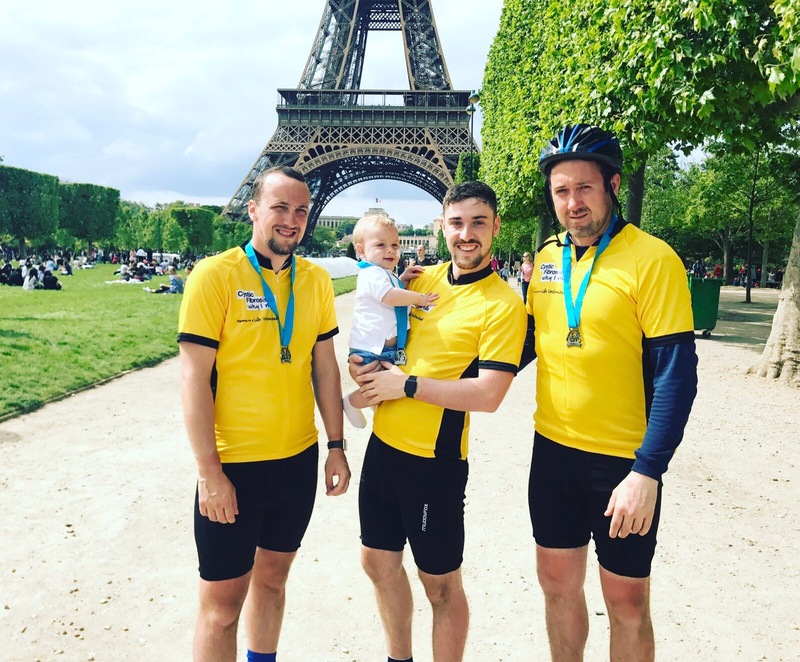 The bike ride was about Stan and all the families who have to live with Cystic Fibrosis but I wanted to make it about Sophie aswell, unbeknown to her, I was cycling to make her my wife, cycling for our family, cycling for our future and cycling to give her the same name as her boys. Sophie says she had no idea what I had planned and I hope she didn’t, for me it adds to the beauty that unbeknown to her the ride was also about her. In my eyes, Sophie is wonder woman, I’d say she deserves a medal but that wouldn’t even cover it – we’re lucky to have her and I’m especially lucky to soon call her my wife. Sophie is a woman who doesn’t ask for a lot the only two things she has asked for is my time and to talk – I hope she feels like she gets my undue time and the talking part is a work in progress. 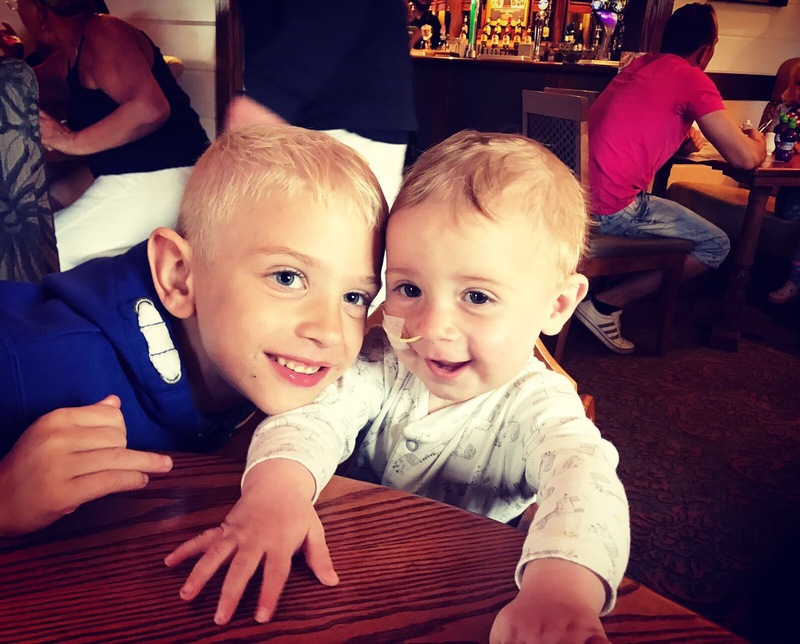 My two boys will be my best men at the wedding, in many ways Cystic Fibrosis has played its part in this and changed the thought processes I go through. We don’t know what’s around the corner even though we remain positive and hope that one breakthrough is coming for Stan that will change his life again. As a Dad, I find it hard to process that my boy may not have the chance to do certain things that in any one else’s life could be taken for granted like be a best man – as a Dad I will pour my whole life into ensuring both my boys have the chance to experience these things. This is something I can’t verbally speak aloud about, I know the moment I do, I’ll break – I have a lump in my throat just thinking about it. Nearly a year ago now we had to start to face up to the sheer reality of Cystic Fibrosis and day by day realising I may never come to terms with it, we just learn to live with it. It’s a daunting reality that we have to face, as parents we now have to think in a different way to protect our boys both in health and their future. We battle our emotions and the thoughts that enter our heads everyday but carry on in an autopilot state because we have to, we need to. The simpler things in life have become the most important – watching a movie, no words are spoken but we are together. We don’t know what the future holds but that won’t stop us fighting today for our boys tomorrow. Dream on boys, dream on, dream until your dreams come true.